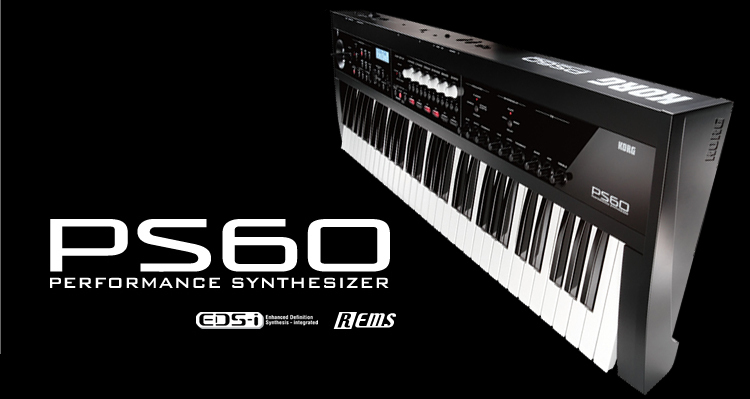 Designed for the gigging – or soon to be gigging – musician, the affordable Korg PS60 delivers premium sounds and professional effects in an easy-to-use package. Heavy on hardware, the PS60's new dedicated performance controls keep all the needs of the performer close at hand. Create and save up to 20 split and layered "Performances"– on the fly! In designing the PS60, the needs of the on-stage musician remained front and center. Offering dedicated controls, an ample backlit display, and remarkable ease of use, the PS60 is a refreshing change. The intuitive, realtime controls – even the sounds themselves – were created with the performer in mind, and have been optimized for the unique challenges and immediacy of playing live. Lightweight, stylish and portable, the PS60 travels comfortably from home, to rehearsal, to center stage. 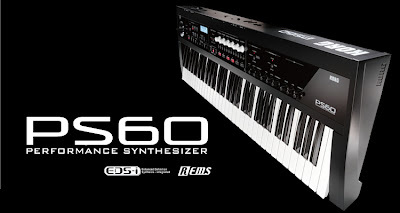 The portability, ease of use, and hands-on interface make the PS60 the ideal instrument for the vocalist, guitarist, bass player, sax player – anyone who wishes to cover a few keyboard parts while expanding their audio arsenal. 120 voices (120 oscillators) max, single mode; 60 voices (60 oscillators) max, double mode * The actual maximum polyphony will vary depending on oscillator settings such as stereo multisamples and velocity crossfading. 36.41" x 11.45" x 3.54"
Computer: A computer that meets the operating requirements of Windows XP, Windows Vista, or Windows 7, and is equipped with a USB port CPU: Intel Pentium III / 1 GHz or better, Pentium D or Core Duo or better is recommended Memory: 512 MB or more (1 GB or more is recommended) Monitor: 1,024 x 768 pixels, 16-bit color or better Operating system: Microsoft Windows XP Home Edition/Professional Service Pack 3 or later Windows Vista Service Pack 2 or later Windows 7 However, only the standalone version will work on 64-bit editions of Windows 7 and Windows Vista Service Pack 2. * PS60 Plug-In Editor must also satisfy the operating requirements of the host application. * Apple and Mac are trademarks of Apple Inc., registered in the US. and other countries. * Windows7, Windows XP and Windows Vista are registered trademarks of Microsoft Corporation in the U.S. and other counties.